This 34.5mm. TUDOR dating to 1964 looks MUCH better in person. Any ageing of the dial is barely visible with the naked eye. This small rose dial is completely original, as are the Dauphine style steel hands. 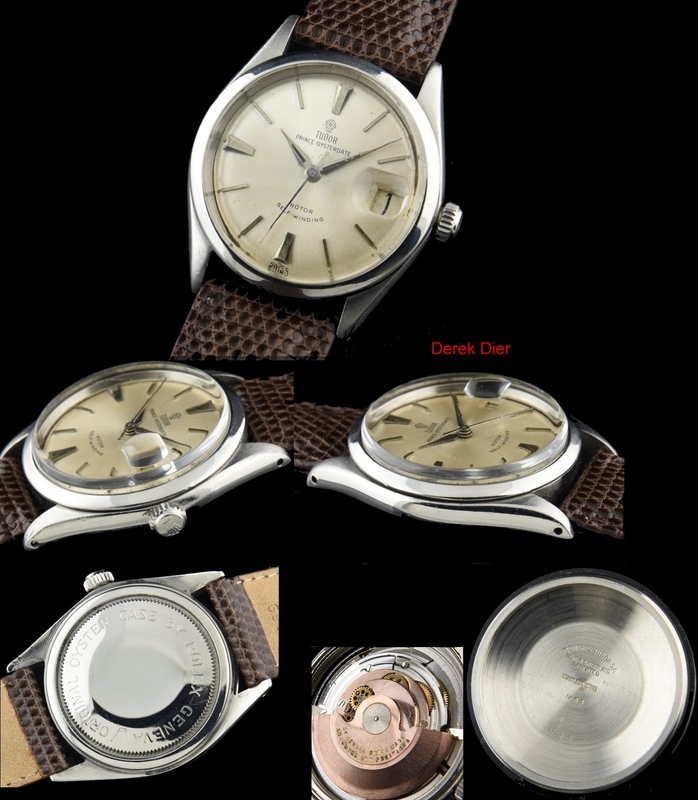 The original automatic winding Tudor movement was just cleaned and is accurate. At some time in the past, the rotor was replaced with a (correct) different one from another watch with the same caliber movement, which does not affect its operation at all. The stainless steel 34.5mm. 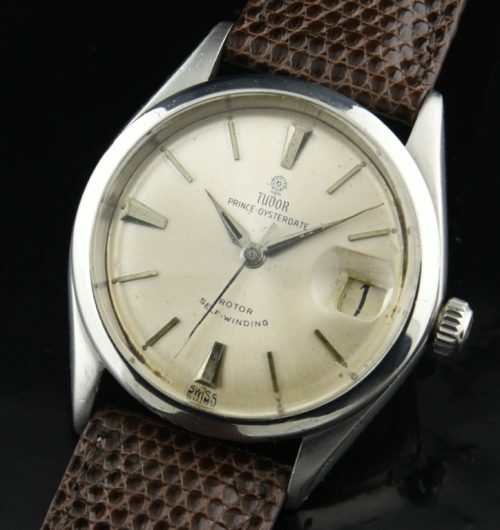 ROLEX OYSTER case has some marks from normal use, but gleams.On the wrist, this original dial TUDOR looks fantastic! You can wear this TUDOR for a lifetime. We have priced this watch extremely well.